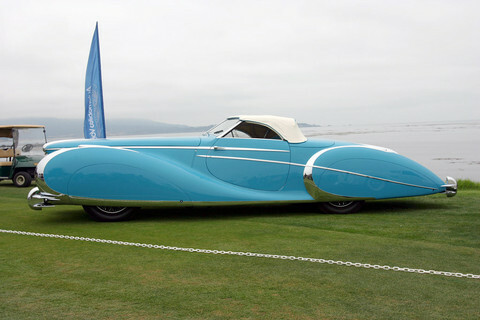 The management at Delahaye thought "nothing ventured nothing gained" when they replaced the 134 in 1947 with the 175. This supercar had a six cylinder 4,455 cc engine that delivered 140 bhp. This was increased to 160 bhp at 4,000 rpm in 1950. The brakes were hydraulically operated and the standard model had a Cotal gearbox. The Delahaye 178 and 180 had a longer wheelbase than the 175 but were built on the same chassis.